Thanksgiving 2017 is quickly approaching. You want to look fabulous for the holidays. But, if you’re the host of the dinner celebration, you also want to be comfy. So, what should you wear this Thanksgiving Day? There are different types of Thanksgiving dinners, and no two are just alike. There are family celebrations, filled with home cooked meals and autumn decorations. You have those who prefer dinners in fancy restaurants. Some people even choose to serve their dinners as outdoor celebrations. We’ve created a style guide to help you decide what to wear this Thanksgiving Day, no matter how you choose to celebrate the occasion. Try out these trendy featured looks to make your Thanksgiving Day a fashion success story. Are you looking for a comfortable, but a stylish outfit? Then worry no more because we’ve got your back. You can wear an oversized sweater matched with a PJ-like bottom for a cozy and comfy look. This type of outfit can be rocked together with a pair of loafers and a bold timepiece. A knit turtle neck sweater and silk pants can work wonders with this gear. Image is everything. The majority of us desire to dress to kill. For those looking to keep it simple, stick to a classic dress with rich autumn colors. This look can be completed with amazing accessories such as gold clutches and bejeweled and lace-up booties to create an awesome and attractive look. Alternatively, you can rock a sheath dress with some gold details which should be perfectly paired with a pearl statement ring. You can also add a pair of black pumps to this impressive look when choosing what to wear this Thanksgiving Day. Long Strand of White Cultured Pearls. Image by Mika Larson Photography. If you like a casual look, nothing casual says thank you more than a chunky turtleneck. This look should be spiced up with an “add a statement” shoe, like a black boot with some metallic details. Planning on going out to eat this Thanksgiving? A tailored black pant is a great choice for this type of occasion. It can be worn with a white oxford and an elegant sweater on top. You never know who you are going to bump into during this special dinner. So, don’t forget to wear matching shoes and an exciting bag to add color to your classic look. After you have dug out your favorite turtleneck, dusted off your perfect matching ankle boots and steamed a few scarves, you need to complete your looks with some jewel accessories. Thick Gold Hoops – This is the biggest throwback of our time as far as fashionable jewelry is concerned. These earrings hail back to the late 80’s and early 90’s and are perfect for a Thanksgiving ceremony. Long Rope Necklaces – These chunky ropes are taking the market by storm due to their stretched-to-shoulder proportions. They have colored tassels, as well as layered tufts perfect for saying thank you on this day of thanks. Statement Rings – This finger bling is stretching the market’s jewelry trends to new lengths. For those seeking fashionista-style attention, these are the best rings to be rocked on a special holiday. These oversize stones are simply the best in terms of grabbing attention, making them amazing jewelry pieces fit for Thanksgiving Day. Snakes – A reptilian look is all that you need to remain elegant and flashy during the on this holiday occasion. From winding ear cuffs to coiled rings, these types of jewelry pieces will just wow your admirers beyond your expectations. Hand Chains – These “not exactly rings, not exactly bracelets” jewelry pieces have found their ways into the fashion world. Hand chains are usually inspired by very interesting locales. They are so trendy, since their loops can be worn both on the fingers and around the wrists. They capture the attention of those around you, drawing their eyes to the backs of your hands. Signet Rings – For rings that are ceremonious in their own rights, these are the ones. They trace their roots to the ancient Egypt times and are available in a wide range of sizes and shapes. You can also have them customized to meet your own fashion style. 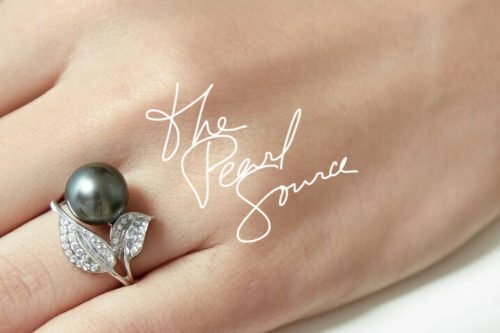 Pearl signet rings are gaining popularity these days. Bright Metals – Looking for the ideal earrings for those focused on creating the “I have arrived” fashion-forward style? These are some of the trendiest and most sought-after jewelry pieces for 2017. This large and overstated jewelry is available in different styles, such as golden, hammered, silver, iridescent or the mirrored ones. However, they are so fashionable and classy. For those who like understated earrings, you must go bold or go home. Bright metals can never disappoint on any major holiday. Crystals – These girl-staples are not only designed for the club, but also for family celebrations. Crystal-studded danglers with some graphic tees and rhinestone mesh can be worn together with oversize blazers for a 1980’s classy look. Pearls – Whether you plan to dress up for Thanksgiving, or go with a more comfortable look, pearls are always a go-to-choice for holiday jewelry pieces. Simple pieces like stud pearl earrings, or a simple white strand of pearls go well with even the simplest outfit, including jeans and a sweater. But, for a more daring look, think about a pair of black Tahitian pearl earrings, matched with drop pearl earrings and layers of pearl necklaces and bracelets in amazing autumn colors. Heidi Smith is an avid writer that boasts an array of credits in authoring blogs, articles and books. She has a true passion for all things celebrities, and enjoys writing about celebrity news, gossip, fashion and style. When she's not writing, Heidi enjoys spending time with her family. She currently writes as a blogger for The Pearl Source through Content Marketing Geek. 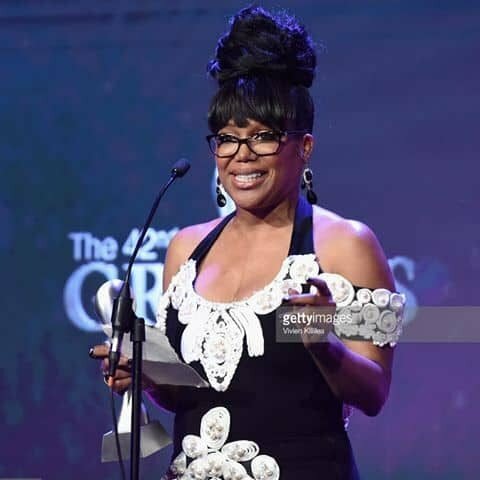 Celebrity Spotlight: Is Michel’le Still Standing or Standing Still? Pearl Stud Earrings – When isn`t a Good Time to Wear Them? Who Says That You Can’t Wear White After Labor Day?